Cables are all the rage in the fiber arts communities. I’ve drooled over knitting cables for years, baffled by the complexity of them. Fortunately you can achieve and equally awesome look by using cabling techniques with our hooks. The winged cable stitch is, what I like to call, a very entry level crochet cabling stitch. We use some fundamental techniques of crochet cables, but the stitch pattern is very simple with only a two row pattern repeat. What are the fundamentals we use? Well, I’m glad you asked. Treble Crochet in the front – a technique used to make your treble pop out in a 3D manner. Working behind treble crochet – a technique used to fill in the gap and still allow your treble to pop. If you haven’t guessed it by now, there are two elements that make a cable: stitches that appear to twist and stitches that pop out. Treble crochet stitches are often (though not always) used in crochet cable stitches. They are tall and can span a great distance, working over and crossing stitches in their path. The winged cable stitch is no exception. 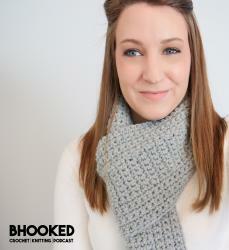 Crochet cables can be used to create very intricate and complex looking designs. They are versatile enough in most cases to make all sorts of projects. Cables are THE way to take your crochet skills up a notch and the way to start is with the winged cable stitch. 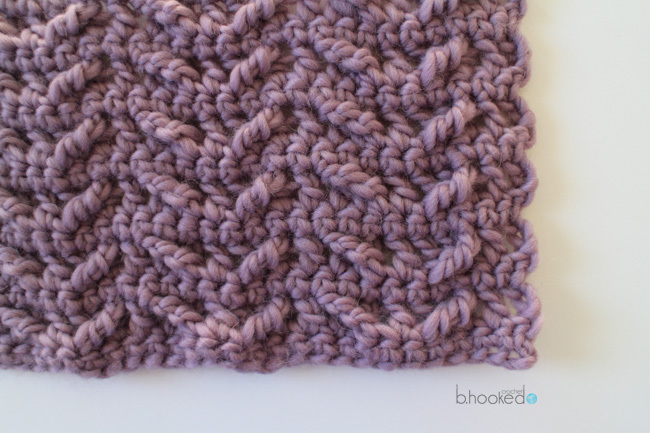 In this tutorial we’re going to work up a test swatch. You’ll only need about 15 yards of yarn. Anything in your stash will do. You’ll also need a crochet hook that coordinates with your yarn. Row 1: Sc in 2nd ch from hook and in each remaining chain. Ch 3 (counts as dc) and turn. Row 2 (right side): Dc in next stitch. *skip next 2 sc, tr in next stitch. Working behind tc, dc in each of the 2 skipped stitches. Dc in next stitch. Skip one stitch, dc in each of the next two stitches. Working in front of the last two dc, tc in skipped stitch. Dc in next stitch. Repeat from * across. At the end of the row, dc in last stitch. Ch 1 and turn. Row 3 (wrong side): Sc in each stitch, sc in top turning chain at end of row. Ch 3 and turn. Rep rows 2 and 3 until your project reaches the desired length. I recommend ending on a 3rd row so your top side matches the bottom side. 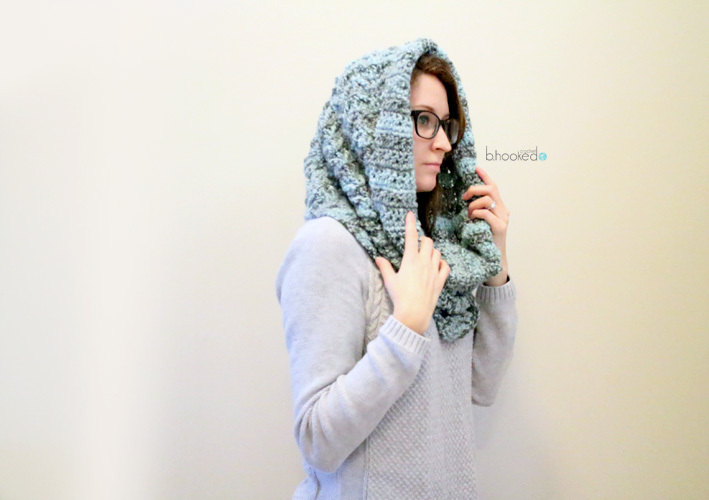 Practice the stitch you’ve just learned by making this warm and cozy crochet hooded cowl. The pattern is free!